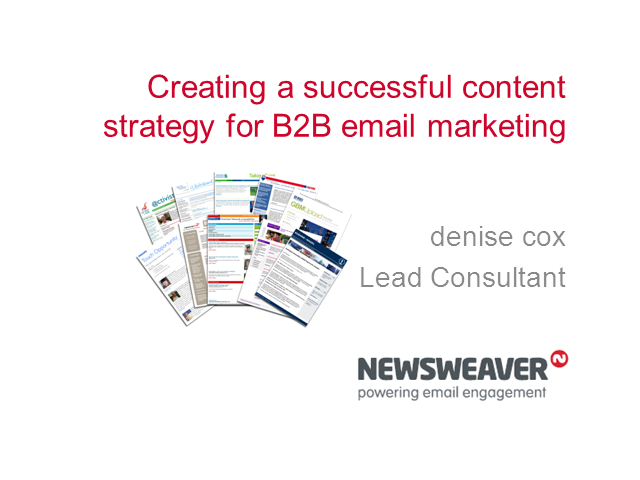 Content should be at the core of your strategy in email marketing. That seems obvious BUT it is often presents the biggest challenges for B2B marketers. Where do they get great content? How do they present it? How is content used to connect with both customers and leads? This webcast will answer these questions and show you how to make your content work hard and reach far beyond the inbox.